Studies and monitoring programs on storm water runoffs have shown that these water corps can be a mean of transport for different types of pollutants that are discharged into local water bodies. 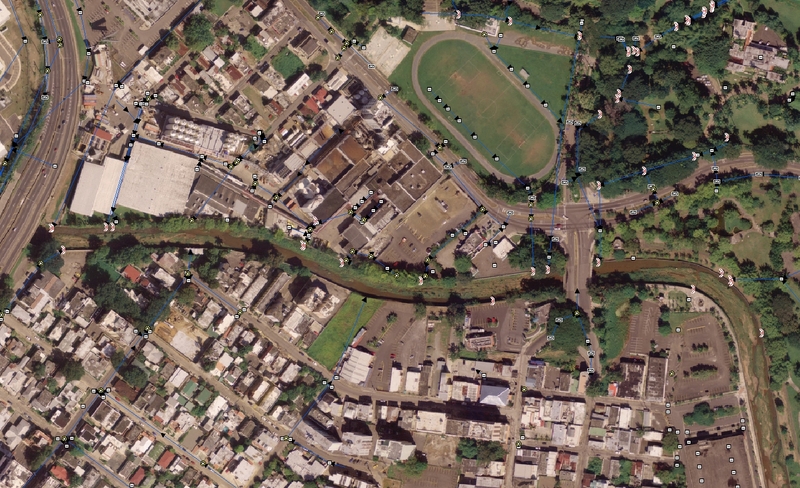 Most storm sewer systems in Puerto Rico are owned and operated by municipalities. They are called by the US Environmental Protection Agency (USEPA) as Municipal Separate Storm Sewer Systems (MS4s). The discharge of these pollutants into the storm water system must be eliminated, therefore, operators of MS4s must obtain an NPDES (National Pollutant Discharge Elimination System) permit and develop a management plan for storm water runoffs. The municipality of Mayag�ez operates many storm water runoff systems, therefore its required to be in compliance with these regulations and EPA regulations. Inspection and elimination of illegal discharges to the systems. As part of developing this plan, the Institute has designed an innovative methodology which directly involves the public in the discussion of ideas and strategies which will be included in the plan. Also, as part of the methodology development plan, an educational component is included at all levels of education with educational material of a different nature which present the subject of runoffs good management practices.